How using eLogs can transform your operations today! 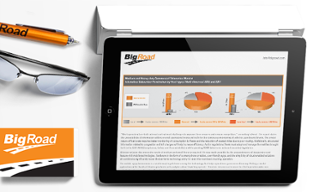 BigRoad enables operations to get started quickly, simply, and cost effectively. Happier, more engaged drivers using mobile technology have the potential to provide valuable operational data that will change the way fleets operate. Downloading this white paper will provide you with information about the benefits of using BigRoad, including how much money you can save.